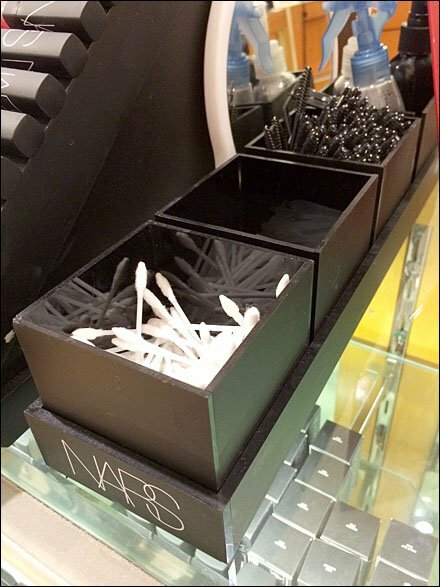 Almost all cosmetics departments offer amenities to foster trial of produts, but rarely do I see the offering Branded like this by NARS®. Tra-within-tray design allows reorganization and transport of individual offerings to precisely where they are needed. The added offering of eyelash brushes truly took this aid to the max. CLICK the thumbnail for the branding, and step through the gallery for a peek at the eyelash brushes and curler. For Cosmetics posts by Title see..